The ability to share your laptop screen with others, such as for watching a show on a much larger screen, can be quite useful. Our laptops and computers are not always big enough to fully enjoy the show that we plan on watching. But, you see, the ability to share screens does not stop there. No, with a Mac device, sharing screens has gotten a whole lot better. 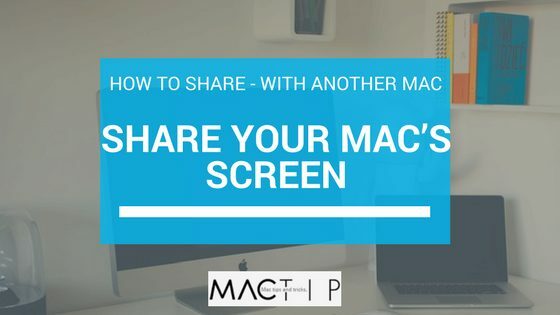 Here is a how to on sharing screens between two mac devices. I know that the function may sound self-explanatory based on the title, but I would like to just quickly summarize it in case someone was confused. See, Mac’s have the ability to share screens with other Mac devices. It is not like sharing your screen with another monitor through an HDMI cord; no, it is sharing your screen with another device that does not have to be near you. You can have another Mac device see what you are doing at any time — as long as you allow it, of course. This can be useful and also fun; imagine being able to watch something online at the same time with a friend, even if they are not in the room. Or being able to do a project with multiple people at the same time. You could share notes, videos, and more. It really is a great function. Now, you may be asking, how? Well, that will be all be explained. 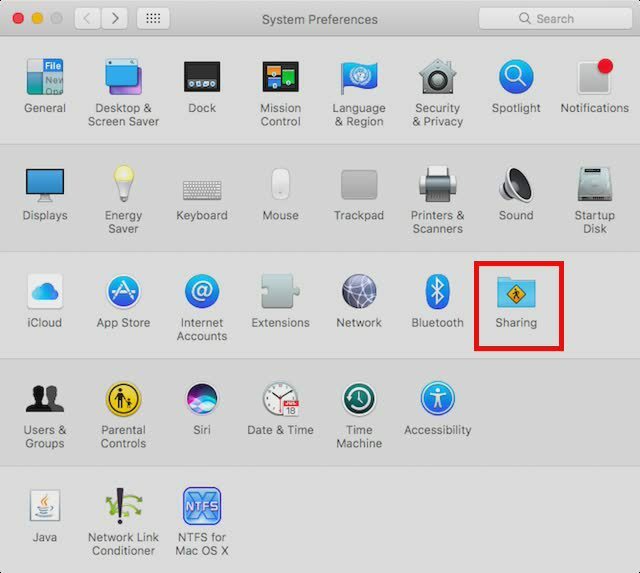 It is also important to note that you can give that other Mac user the ability to control your screen for you, which may sound scary, but is safe as you can only access the sharing function through a password that you can give out to those you trust. You can either select to simply “view” the screen or “control” the screen. Before you follow the steps below, you have to do some quick preparation work. See, you cannot just try to screen share; you have to go to settings and ensure that you have them correct. If not, then you cannot share your screen. Since you are sharing your screen via the network, you have to have your device allow for the sharing of credentials before you can attempt to screen share. To do this, go to Settings on your Mac device, then go to System Preferences. Under System Preferences is a setting called “Sharing” that is under a picture of a file folder. After you click on the Sharing section, you should see several checkboxes with various names next to them (on the left part of your screen). One of these checkboxes is for “Screen Sharing,” and is the one that you have to ensure is checked before moving on. Now that you have the checkbox checked, you have to make sure that you have given some of the users on your device the ability to see your screen. What this means is that the person that you will be able to share screens with will have to login to the other Mac device with the same credentials you set up in the Sharing settings. So, you should still be on the screen that has the checkboxes. Once you checked the “Screen Sharing” option, it should have given you the option to choose the Mac users that can see your screen (if they login). If you do not want to give out your personal credentials, then you can always create a new generic user on your Mac and give that user the ability to share, rather than have your admin password be given out. Save the password, name, and IP Address (which is listen on that same settings page). Anybody that wants to access your screen from another mac will have to know that information. It will require them to search for your IP Address, computer host name, and login. NOW… Here are the various steps you can take to get this function working from the other Mac device. The first option is an interesting fact as well; did you know that your Mac device comes with an application already installed on it that is to help with screen sharing? It is called “Screen Sharing,” and I’ll explain how to find this. First, launch Spotlight (press the Command and Space keys at the same time), and type in “Screen Sharing” to find the app. The application will launch and will ask you for some key information. Remember how I said to write down the IP Address? Well, now you will have to fill in the IP Address of the first Mac that you want to share screens from. Then you should be able to enter in your name and password, click the connect button, and everything should be working. If not, then follow the second option and hope that one works out. Now, the second option begins with opening up the Finder function. After you open Finder, look for the sidebar, and find your Mac’s name. When you click on your Mac’s name, a window will open. In the right corner of the window will be a button that says “Share Screen…”. If you click on this then you will have to enter the username and password that were used to set up the function, and…. Bravo! It should connect and work. Now, the final option available to share your screen is through iMessage. This should work even if you did not set up the function in settings, but I would recommend doing that beforehand anyways. First, open up the iMessage application on the Mac whose screen you want to share. Then, open it on the second Mac as well. If you open up iMessage on both and start a conversation, it will allow you to use a function that shares one of the screens. When you click on Details, there will be the option to share screens. Click on it and then it should work; simple as can be. If you and someone you know own Mac devices, then you could be sharing screens at the touch of a button. Like I mentioned, it is quite useful, so I hope that the instructions were easy to follow and you now have the function set up. If there was some confusion or it did not work correctly, then contact Mac support and ensure that your device is working properly. They can assist you more. Remember that you have to use the same login information that you gave permission to in the settings, or else you cannot access the function from the other device. I would also highly recommend writing down your IP address for the other person, as that is important too. If you used their login information than there should be no problem, as they already know their password. Whether you want to simply view another screen, or need to control it for a project, this can be a great help if you or anyone that you know owns a Mac device. I hope that this how to article was helpful and easy to read. Enjoy your new function!